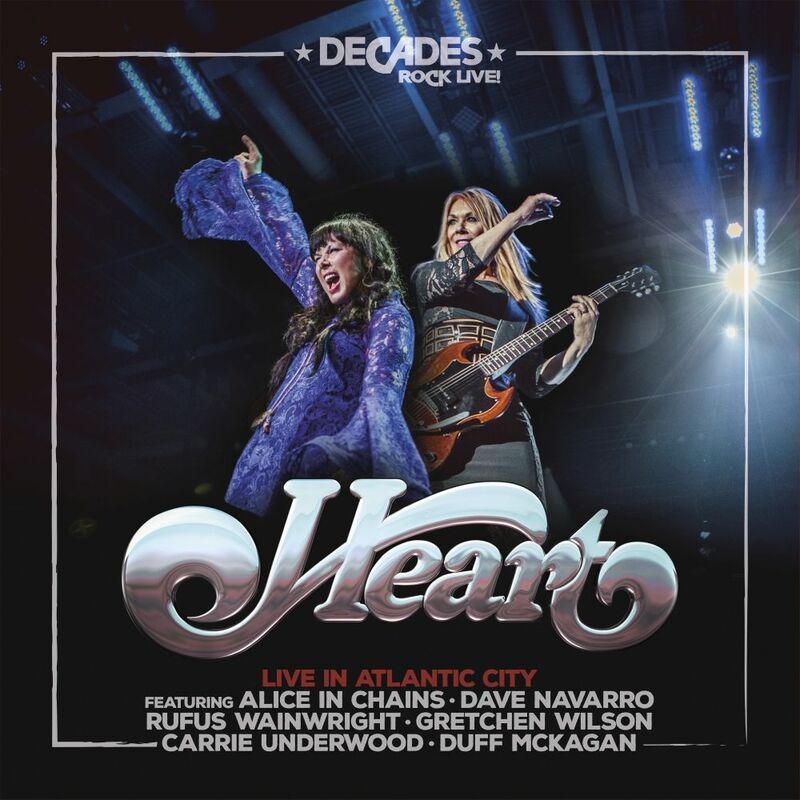 Rock 'n' Roll Hall of Famers, Heart are preparing to release a remastered version of "Live In Atlantic City," through earMUSIC on January 25. The show was filmed back in 2006 for the VH1 show "Decades Rock Live" and will finally be released for the first time on LP, CD, DVD and Blu-ray. The show featured a load of special guests, performing the music of Heart and some of their classic rock favorites. The first guest to join the Wilson sisters on stage is guitarist Dave Navarro (Jane's Addiction, Red Hot Chili Peppers) to perform energetic versions of "Straight On" and "Crazy On You." The band quiets down for the acoustic-fueled ballad "Lost Angel," as Ann's vocals lead the way. Country rocker Gretchen Wilson joins in on the classic Heart number "Even It Up" and an amazing cover of Led Zeppelin's "Rock and Roll." Rufus Wainwright helps out on the quiet tone of "Dog & Butterfly" and Carrie Underwood steps in to duet on the ballad, "Alone." Sandwiched in-between those gentle songs is a short tribute to fellow Seattle rockers Alice In Chains, with stellar performances of "Would?" and "Roster," featuring Alice In Chains and Duff McKagan (Guns n' Roses). Dave Navarro returns to support Heart for their second Led Zeppelin cover of the evening with the steady pounding rhythm of "Misty Mountain Hop." This new thirteen track live release closes with Heart performing a couple of their most well-known tales, "Dreamboat Annie" and "Barracuda," which includes all of the special guests joining in. The DVD and Blu-ray also contain the bonus segment "Heart Confidentialia." 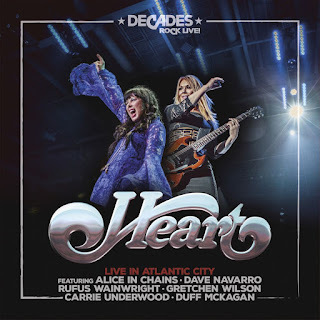 To find out more about about this new live release from Heart, please visit heart-music.com.